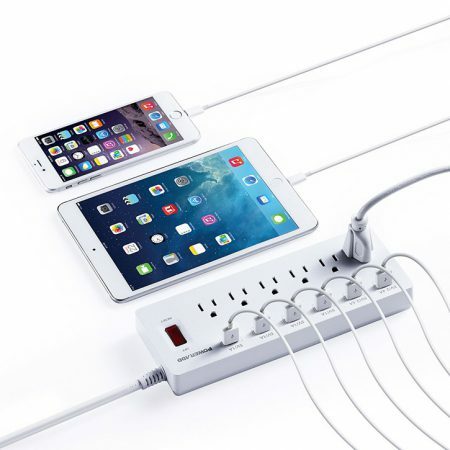 This power strip is designed for office and home. 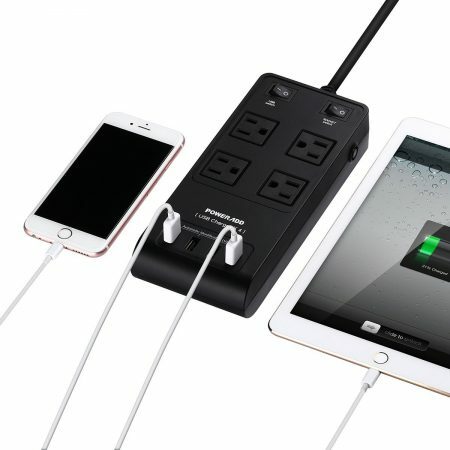 It has 5 AC outlets, 2 Micro USB ports and 1 USB-C port. 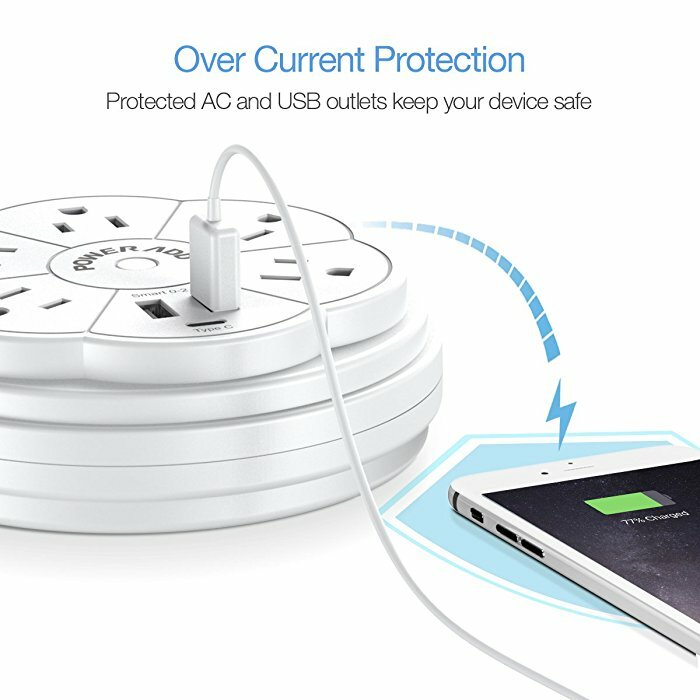 It’s a perfect charging station for multiple electrical appliance and USB devices. The USB-C port allows you to charge all USB Type-C compatible devices. 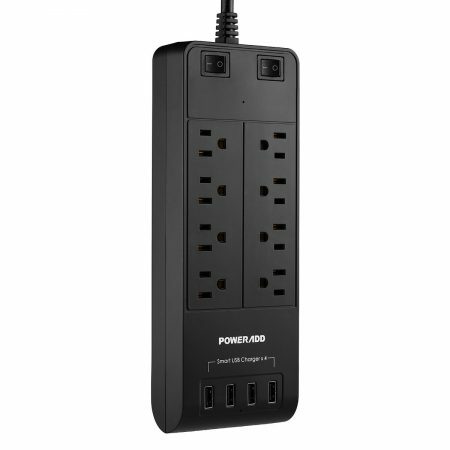 This power strip surge protector comes with a UL listed 3.3 feet power cord. 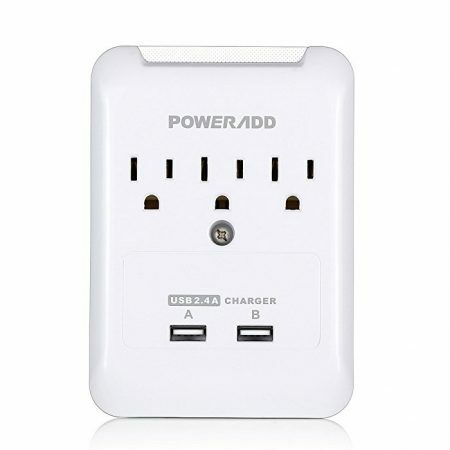 This power strip is capable of providing power and charges for a great many appliances and devices at the same time. 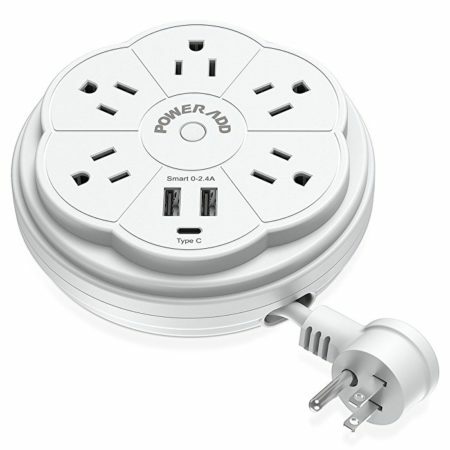 This power strip has 5 AC outlets to offer with 1625 watts power in total. 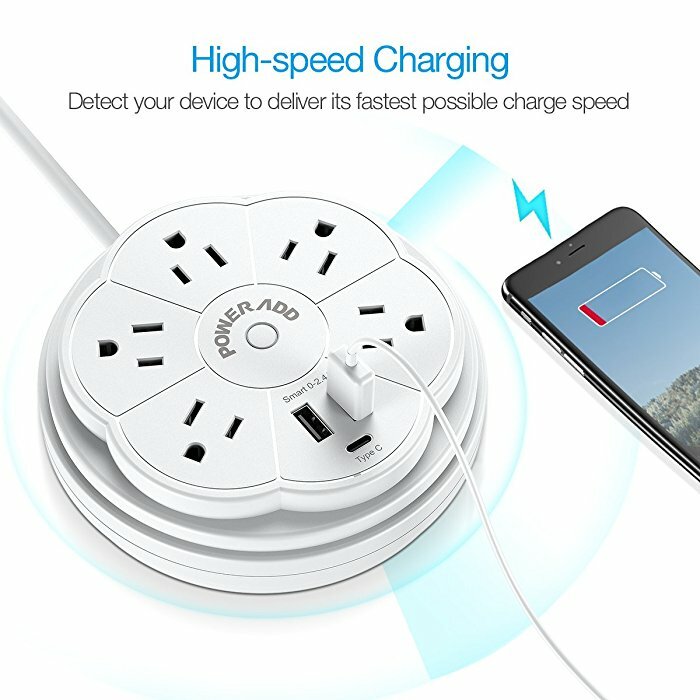 It meets the need for 5 electrical appliances to connect simultaneously. 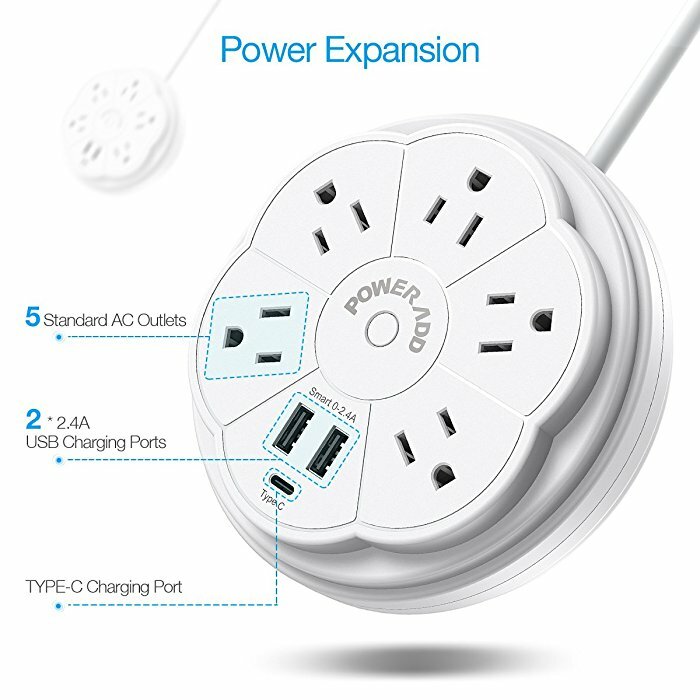 Besides, it has two Micro USB ports, up to 2.4A/5V per port, and a USB-C port, up to 3A/5V. 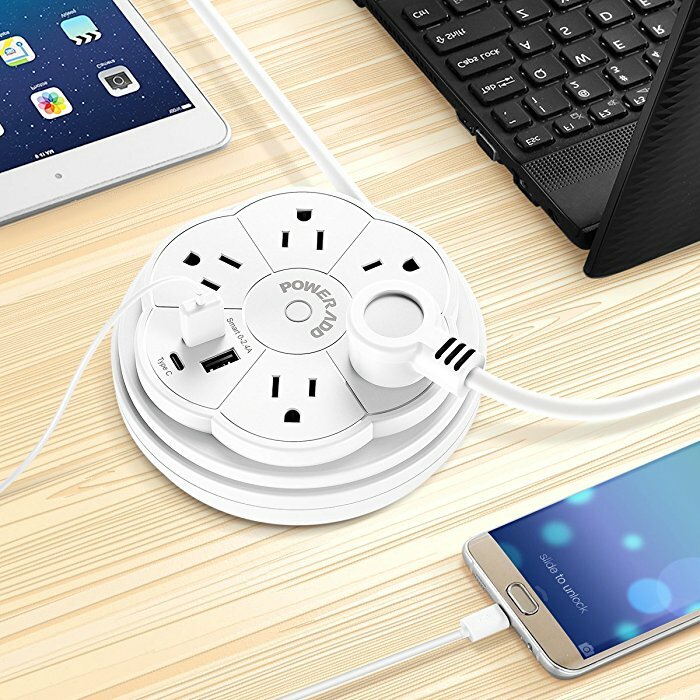 These USB ports will charge your mobile devices extremely quickly. 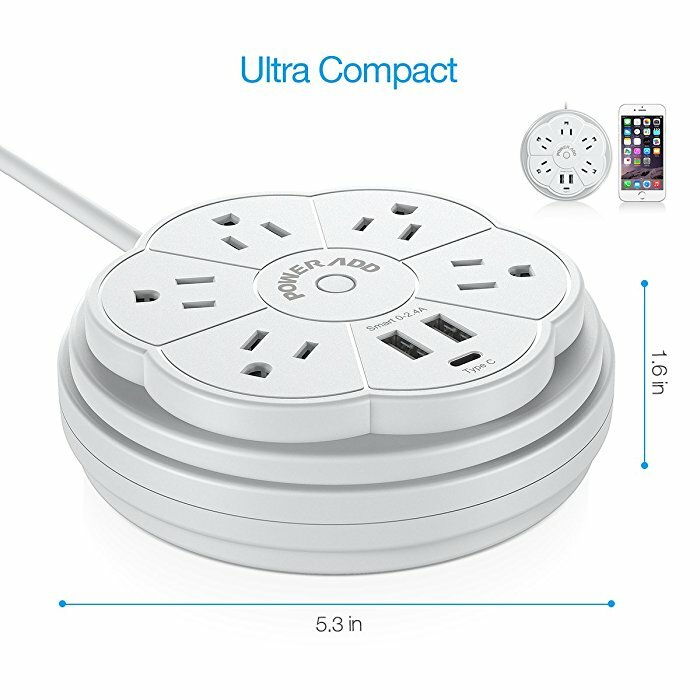 This round surge protector power strip has a unique design that’s made compact and space-saving. 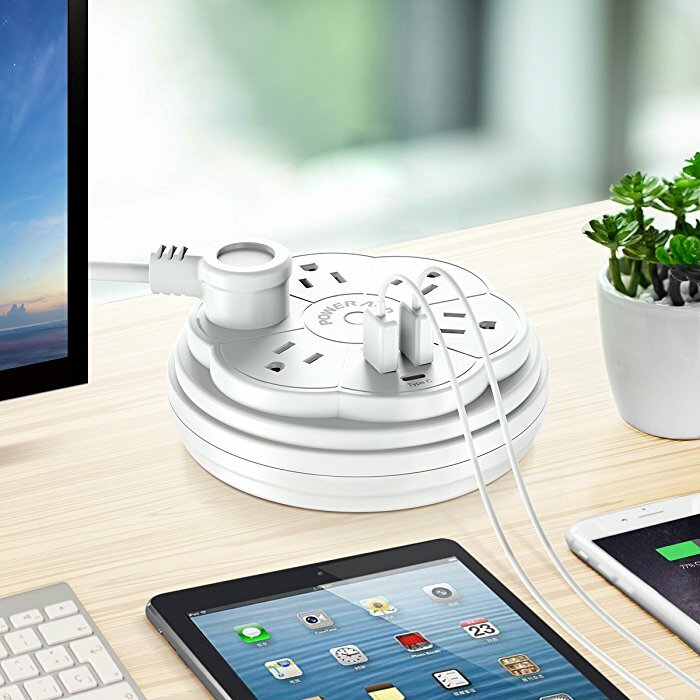 More importantly, having a power strip with outlets and USB ports gathering in a round way will allow you to plug in and unplug your electrical appliances and USB devices more effortlessly. Each outlet and port is made so accessible. 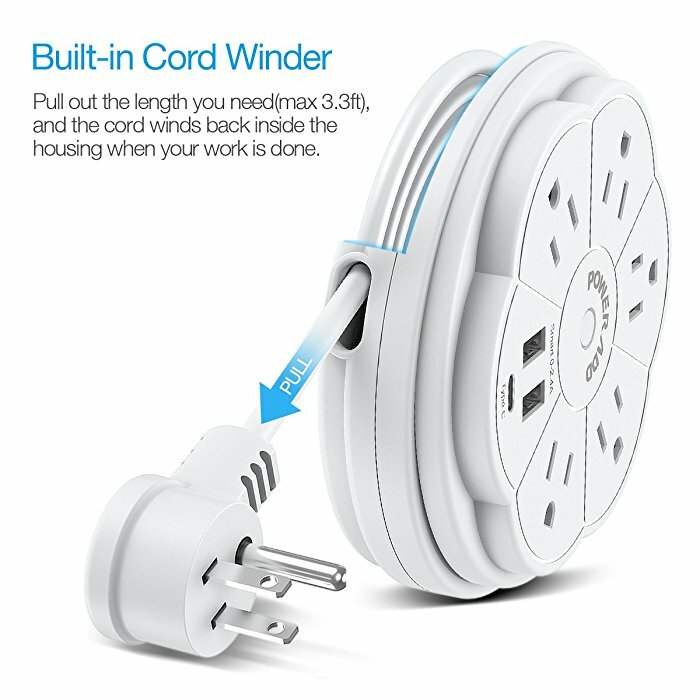 Besides, it has a built-in cord design. You can hide the power cord into the base when you don’t use it. 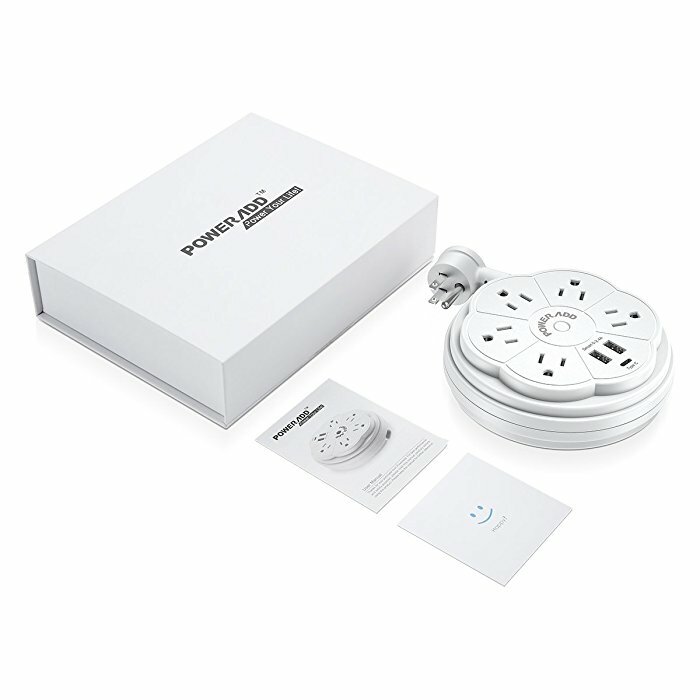 And you can have the length you want while connecting your appliances and devices somewhere they need a certain length of the power cord.